Jelly Bean is still living her best life in and outdoors - especially when she gets a bed made out of an Amazon box and some love from her favorite girl. I feel like I've said this several times, but Duplos are one of the single best "investment" toys we've ever bought. 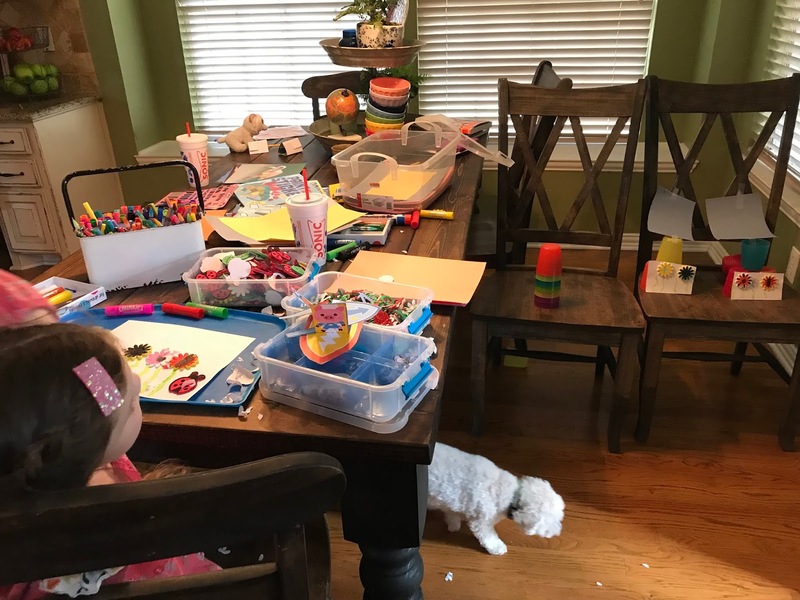 We've accumulated a ton over the years and even though my kids are beyond the designated age they play with them ALL THE TIME and it's one of the few things they all play together. They played for several hours Friday morning while I took care of a few office things. Saturday morning Mason and I ran some errands together. Quality time is his love language and we always have a great time together even doing simple little things. Saturday afternoon Griffin and I got to celebrate Miley turning 5. It was such a fun, colorful party - just like the birthday girl! We got a couple of new puzzles this weekend and the kids spent a LOT of time playing with those as well. I picked up this United States one as well as this Europe one and I loved that the pieces were the shape of the state or country. 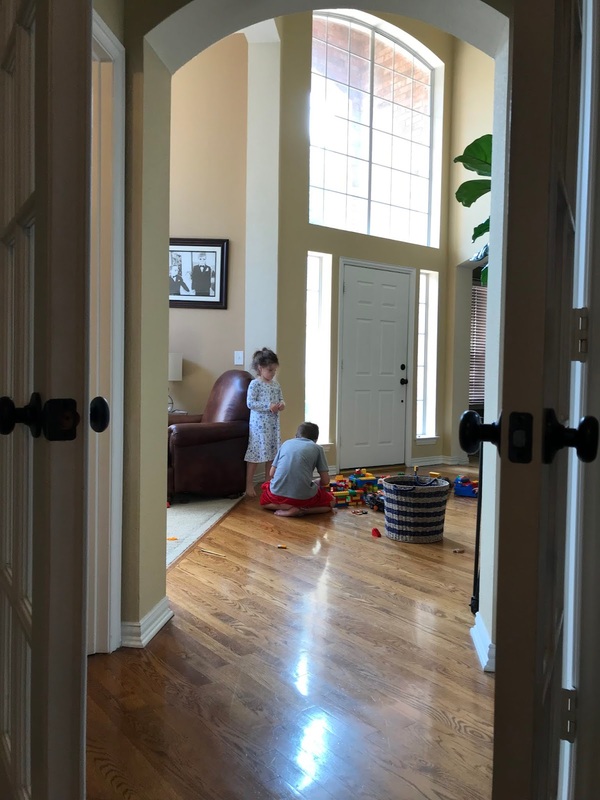 Sunday afternoons are when we "reset" for the week and my favorite part about the kids having clean rooms is their renewed interest in playing in them :) Sunday afternoons are when they vacuum, dust, put away their creations from the week, etc. and while they put up some resistance about it the end result is always well worth the hassle. 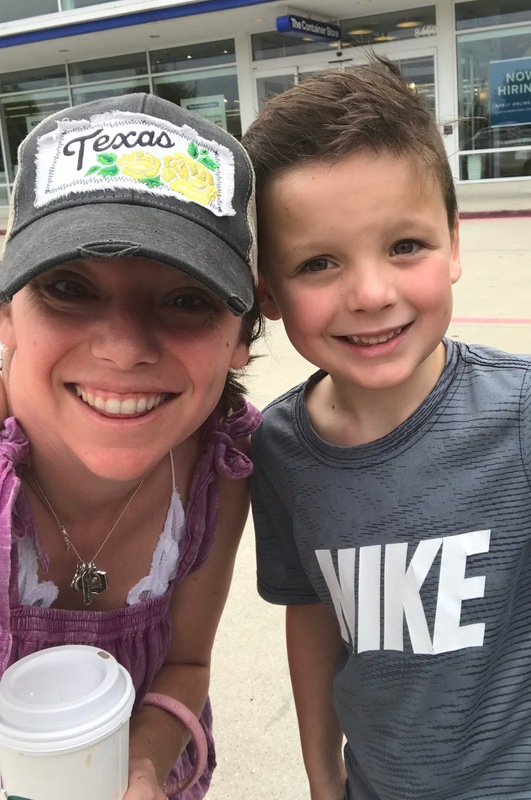 Griffin is all about being "just like mommy" and it's the sweetest thing ever. Nothing makes her happier than when we have matching bags or shoes :) I want to bottle this up and hold onto it forever! Sunday morning and sporting her party favor from the day before - FABULOUS! Hoping y'all had a wonderful weekend!!! Griffin is killing it in those glasses and tote! Duplos are seriously one of the best toys ever!! My 6 year old art loving son, has a birthday coming up & you just solved my problem of what to get him! Those sticker books look awesome as well as the puzzle! 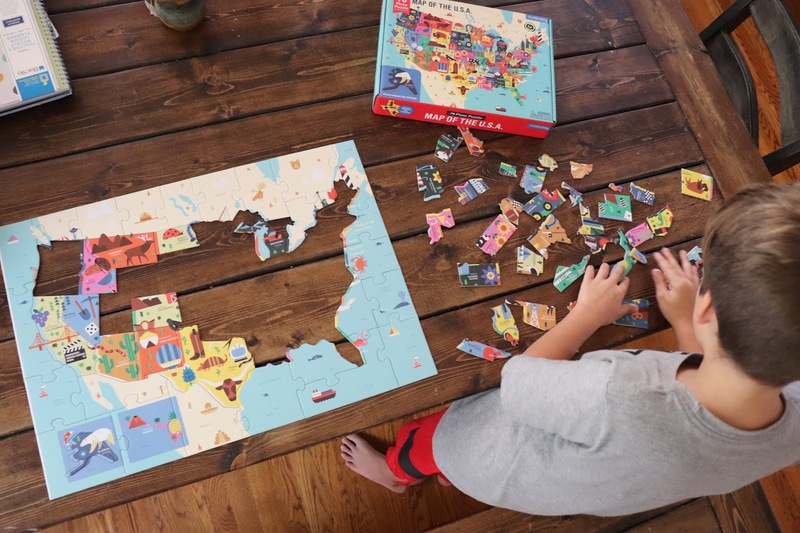 I'm ordering both puzzles for my kids right now! They are adorable and your matching bags are just perfect! Stop time now!!! So super cute! I love that Griffin wants to be just like you! Are the dresses hanging on the wall her outfits for the week? I love the relationship between G and Jellybean - so sweet! :) I also love the pic at the end - too funny! Looks like a fun weekend! Love your dress in #8. Where is it from? I am sure you blogged about this before but #mombrain. Where are Luke's desk and chair from? Desperately need to do something for my kids and his set up looks perfect!